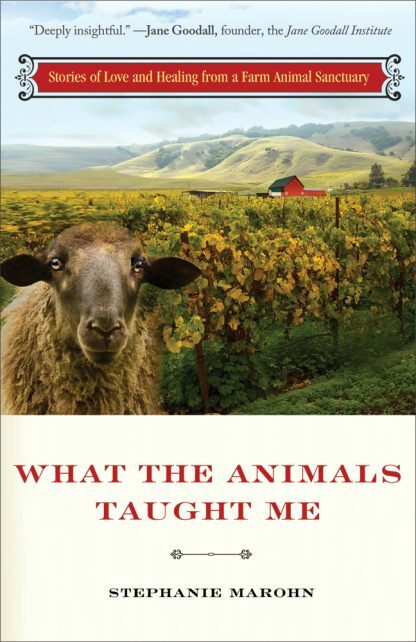 What the Animals Taught Me is a collection of stories about rescued farm animals in a shelter in Sonoma County, California, and what these animals can teach us. Each story illuminates how animals can help us see and embrace others as they truly are and reconnect us with the natural world. Wishing to escape the urban rat race, freelance writer and editor Stephanie Marohn moved to rural northern California in 1993. Life was sweet. She was a busy freelancer. In return for reduced rent, she fed and cared for two horses and a donkey. Her life was full. And then, more farm animals started to appear: a miniature white horse, a donkey, sheep, chickens, followed by deer and other wildlife. Each one needed sanctuary either from abuse, physical injury, or neglect. Marohn took each animal in and gradually turned her 10-acre spread into an animal sanctuary. A deeply inspiring collection, What the Animals Taught Me awakens our hearts and reminds us that our best life teachers sometimes come covered in fur.